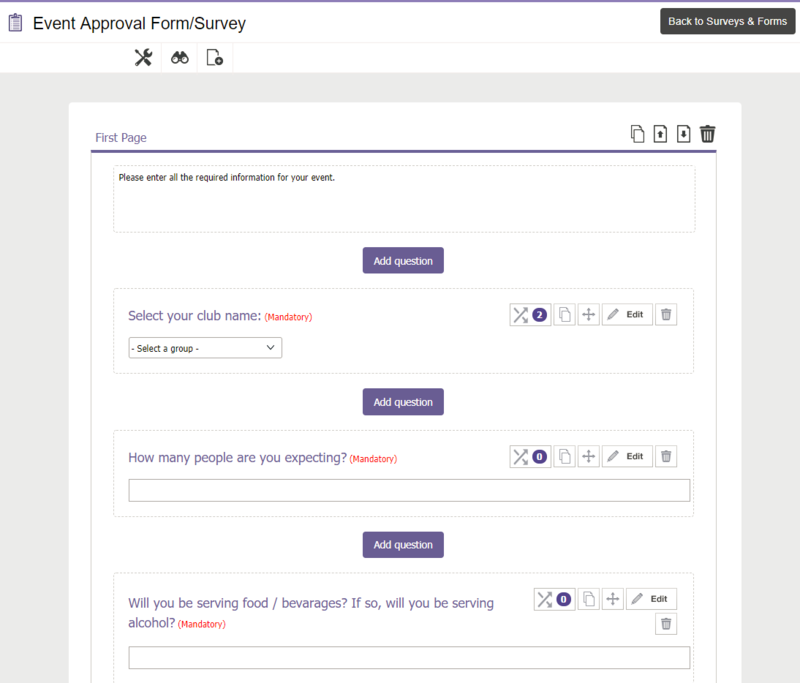 In order to set up a simple event approval, you have to start by creating the approval form/survey and then turn-on the feature. Go to a group and click "Surveys & Forms" and then "All Surveys & Forms". Once there, click "Create" and choose Form or Survey for type. 3. Once your form/survey is ready, go to the Admin section and click "Settings" and then click on the "Approval" tab. 4. Select "Yes" for "Activate Event Approval" and then find the form/survey you created in the drop-down below. 5. Click "Save" at the bottom. Any new event organizer will have to answer the above form/survey after creating their event. In order to approve or deny the event, go back to your group and manage the form/survey. Let's have a look at how the approval process works. 1. An officer just created an event named "Annual Gala Dinner". After saving the event, the officer have to submit answers to the 'Event Approval Form/Survey' that we created. 2. 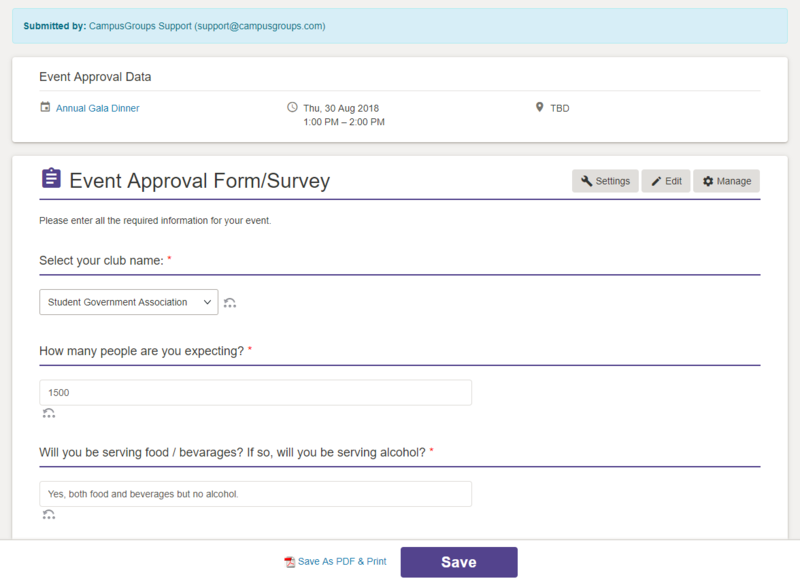 Once the form/survey is submitted, you can approve or deny it by managing the form/survey. 3. Until you approve it, the event status is "Pending Approval" and will not appear on the list of events or the calendar.